With seven current locations across the country, City Works Eatery & Pour House offers a huge draft selection of local, regional, and global craft beers with a constantly rotating draft list – all complimented by classic American fare with a chef’s twist. The 8,632-square-foot restaurant coming to Disney Springs will include a retail space, expansive seating areas, high-definition TVs (including a 165-inch screen), and a 1,767-square-foot patio. The space will also feature three full-service bars, with two of them offering covered, open-air dining on the patio. 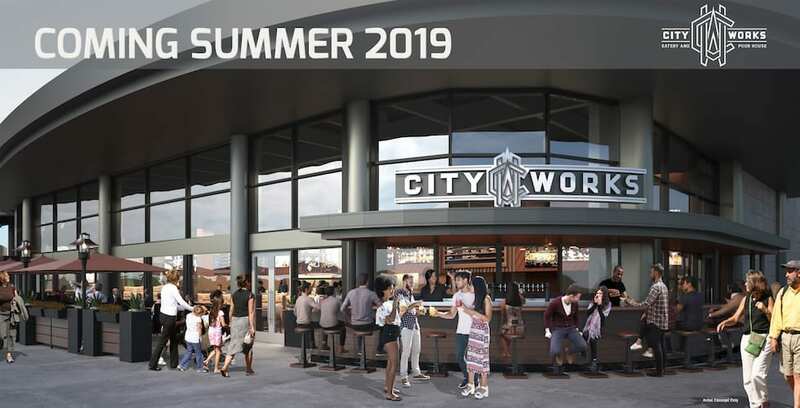 City Works will be located in the West Side of Disney Springs, adjacent to the future NBA Experience – with an independent entrance and exit for guest convenience. This is expected to be a great go-to spot for sports fans looking for craft beers, a bite to eat, and a fun game-viewing experience. To learn more about City Works, visit CityWorksRestaurant.com. To learn more about other dining offerings at Disney Springs, visit DisneySprings.com.